He commented on the rapper’s prison sentence during a gig in Melbourne. Drake has thrown his support behind the #FreeMeekMill campaign. He showed support for the rapper, currently in prison for anywhere between two to four years for probation violation, during a Boy Meets World tour date in Melbourne, Australia on November 18. Spotting a fan in a Free Meek Mill t-shirt, Drake said: “Free Meek Mill. You right.” Watch the clip below. Drake and Meek Mill engaged in a long running beef in 2015 after Meek accused the OVO rapper of using a ghostwriter when they collaborated. 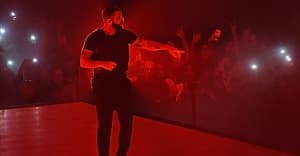 This led to a series of dis tracks aimed at one another, most notably Drake's “Charged Up” and “Back to Back.” Drake spoke about the toll it took on him during his 2015 FADER cover story. The rap world has united behind Meek Mill since his imprisonment earlier this month. JAY-Z has spoken out repeatedly in support of him, while a protest in Philadelphia drew thousands of people.